Pearls are an elegant gem that stand up to the tests of time and fashion. Pearls come in many different sizes, hues, and color intensities, and many choices for settings ensure that pearl jewelry can look great for a formal occasion, or even a typical day at the office. When shopping for pearls in a local store or online at a website such as http://www.nationalpearl.com/, one of the first options you’ll be presented with is the choice between natural pearls or cultured pearls. Natural pearls, as their name suggests, are created by nature: sea mollusks and oysters isolate tiny bits of grit that make their way into shells by forming layers of pearl around it. Multiple layers are added, and depending on how long the pearl remains in the mollusk or oyster, and how long the sea creature lives, the resulting pearl may be small or rather large in size. Cultured pearls are created in a similar fashion, though scientists assist with the planting of a piece of grit or mussel shell into an oyster’s shell, and then let the sea creature take over. Completed pearls may be round or oval in shape, or may ultimately look like a teardrop or even a baroque. While jewelers can take natural and cultured pearls and re-shape them, part of their charm is their natural shape, even if that shape isn’t a perfect sphere. Whether you opt for natural or cultured pearls, freshwater pearls are always created by mussels, while saltwater pearls are created by oysters. And, depending on where in the world the pearls were formed, you may find that their colors and lusters are greatly varied. 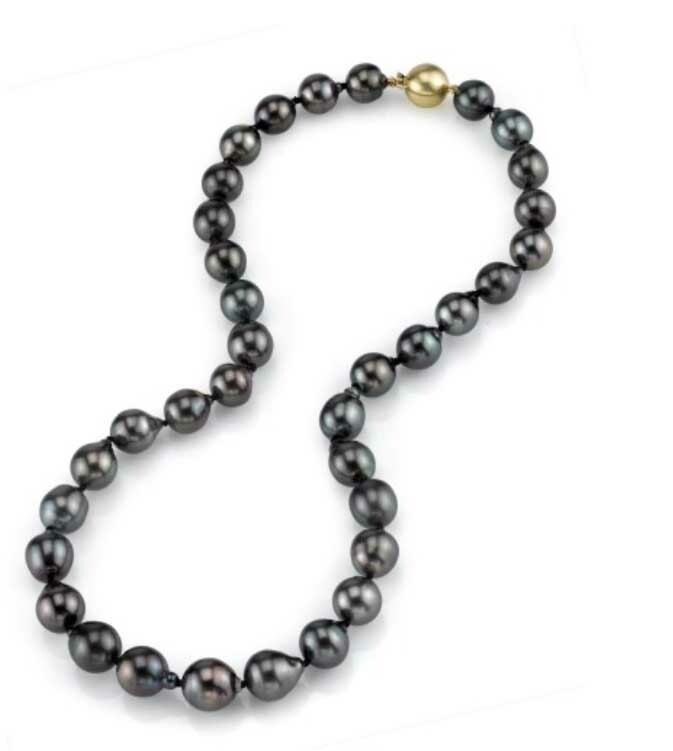 Japanese pearls, for example (like these: http://www.nationalpearl.com/pearl-necklaces/japanese-akoya-pearl-necklaces.html), may be a pale opal or a stark black color; while pearls found elsewhere in the world may take on more of a light pink hue. Additionally, scientists and jewelers can bleach or dye pearls to create an entire rainbow worth of color choices. The most common colors of pearls are an off-white, a pale pink, and jet black. Lusters (clarity and shine) may vary among pearls that are from the same body of water, but again, science can intervene and clean up pearls so that they have a bit more shine. The finer the luster, the more metallic and mirror-like its surface will be.